The city of Dallas has become renowned for its plentiful job opportunities, low tax rates and affordable housing. Young college graduates and established professionals alike find the idea of working in this bustling city an excellent choice. Several major industries have helped make Dallas a powerful business city in the U.S. and in recent years, Houston and Dallas have attracted thousands of new residents. Some of the key industries in the city include information services, goods manufacturing, telecommunications, media, logistics and food manufacturing. 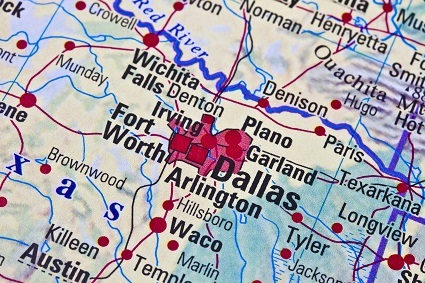 Over 80,000 companies have made their home in Dallas, and many Fortune 500 companies have also chosen to place their main headquarters in Dallas. High-tech start-ups are growing increasingly attracted to Dallas due to it’s favorable tax laws and low rental rates. Other industries that make up the economic base of Dallas include finance, aviation and international trade. In downtown Dallas, you can find the offices of several major finance firms. Dallas is an excellent place for young professionals to seek opportunities in investment banking or law, with several large law firms having offices located in the high-rise buildings in downtown Dallas. Over 342,000 Dallas residents are currently employed in the professional and business services field.